Young children have an amazing capacity to learn, and using craft is a great way to help them develop co-ordination and grow in confidence. It's also a good way to begin to explore God's Word, both for the child and also their carer. So here are 101 craft ideas which are Bible based, and tried and tested on the age group. There is a comprehensive introduction which includes how to organise for craft, a checklist for the contents of your craft cupboard, and some general ideas for how to use the materials. The crafts themselves include photocopiable templates where needed, how to prepare, what to do with the children, and a Bible link and idea for talking about it with the children. Again there are comprehensive indexes of Bible verses used, and the activities grouped into themes which link with the other Tiddlywinks resource books. There is an introduction to each craft technique and a step-by-step guide to preparation, materials needed and a teaching point. Each craft is linked to a Bible passage. An ideal supplementary resource for the core Tiddlywinks material. Fully photocopiable. Glitter And Glue by Annette Oliver was published by Scripture Union in January 2003 and is our 14826th best seller. 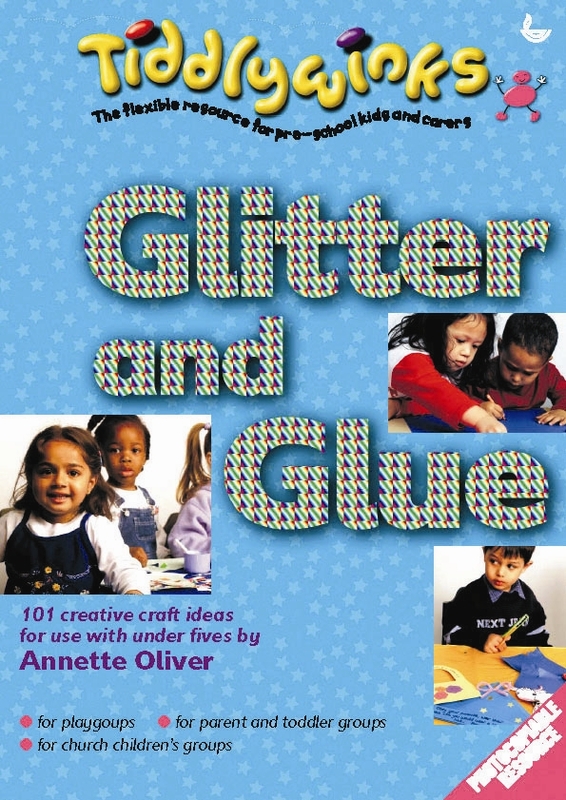 The ISBN for Glitter And Glue is 9781859995990. Be the first to review Glitter And Glue! Got a question? No problem! Just click here to ask us about Glitter And Glue.